I am... Chritiane, called Chris and I love to go deep! As a free non judging spirit, who is passionate about her profession, is it my destiny to touch, to dance and to trust! My CV: And so I discovered my passion of healing arts during my travel in India. Living in Mexico city I have had my own Studio, were local TV Teams count to my clients. 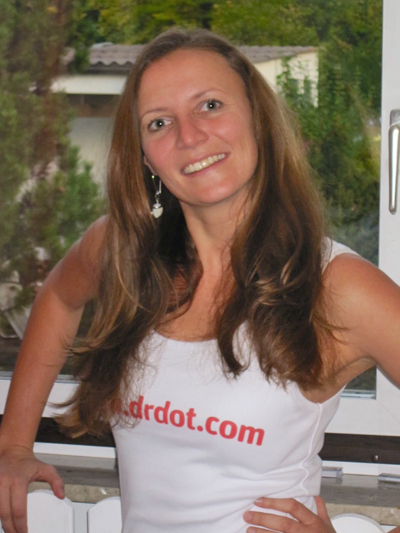 In Austria I worked for the only 5*s Hotel in Tirol to adjust to the professional Service Standard of the European Spa Scene and here in Germany I am a student for naturopathy, a Yoga teacher, a Massage therapist and proud to be a Dr.DotBot, belonging to the bests in their field. is a combination of techniques like deep tissue massage, trigger point therapy, joint release and stretchings, depending on the needs of the person I am working on. I have a vast understanding of the human body and a keen sense in finding body imbalances and correcting them. I love to flow in the rhythm of the receiving person which is every time a fulfilling experience to me. I want.. not only doing my job by liberating you from tension/by relaxing you, BUT to INSPIRE YOU through my deep unique way of touch! Book me.. for my individual massage therapy, my Ayurvedic deep tissue Massage or my favorite: Hawaiien bodywork (Lomi Lomi Nui the queen of Wellness massage through her fluent, rythmic, deep, holistic touch. )!